CPAP Supplies: How Often Should You Replace CPAP supplies? Did you know that maintaining the health of your CPAP unit should be considered an important part of your personal sleep health regime? In fact, regular maintenance combined with replacing consumables in accordance with the manufacturers' recommendations is vital to attaining optimal sleep health results and preserving the longevity of your CPAP unit. Failure to regularly maintain your CPAP unit and consumables can have a negative impact on your treatment and health. Follow this quick guide to help understand when you should replace parts. Please confirm with your manufacturer. If you notice a drastic change of results in your CPAP therapy, you probably need to change your CPAP mask. The CPAP mask’s seal is not as strong and clean as it used to be. You’re waking up with a dry mouth. The soft part of the mask that touches your face is called the CPAP cushion. The thing about CPAP cushions is that it gets worn down easily and not changing it meant risking the success rate of your CPAP therapy. Your CPAP headgear helps to ensure your CPAP therapy by preventing prescribed air pressure from leaking out of your mask. The CPAP headgear feels lose and weak. Best time to change your CPAP headgear: Every 6 months. The CPAP mask tube is in charge of transferring the prescribed air pressure for your CPAP therapy. Best time to change your CPAP mask tubing: Every 3 months. The CPAP machine air filters are responsible for purifying the air you’re breathing. Changing the air filter in your CPAP machine is an easy and inexpensive process that you shouldn’t skip. Best time to change your CPAP machine air filter: Every 6 months. Your CPAP machine is the main body of your CPAP therapy and not being able to use it properly can cause great consequences to your health. Getting a backup machine is always something you should consider. So that when something happens to your machine, you wouldn’t be forced to skip your CPAP therapy and risk your health. CPAP therapy can do wonders for your snoring and sleep apnea problem. But if you’re just merely using your machine for the sake of treatment, it wouldn’t suffice. There’s no point in continuing your CPAP therapy if you’re prolonging the replacement of your CPAP supplies. Having supplies that are in their most tip-top shape is your responsibility. And it’s something that you should keep in mind at all times. 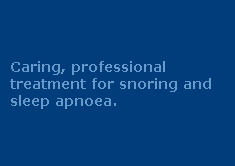 If you’re suffering from snoring and sleep apnea call us today on 1300 246 637. Contact us now.